Big news, everyone! 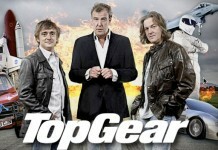 Jeremy Clarkson, James May and Richard Hammond are once again coming to a screen near you. While we knew the trio of former Top Gear presenters were looking to sign to a new a company, nobody knew quite where they would land. All speculation is now over as Jeremy and the boys are headed over to Amazon.com. 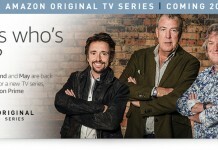 The announcement was made by both Clarkson and Amazon on Twitter just a few hours ago. Now there is not a lot of solid info about the format of the show, episode counts, or anything really, but that doesn’t stop us from being excited. Amazon’s site does state that filming will start soon, and the show should be out in 2016. Keep your eyes on AutoTalk.com, and we will continue to update the site with more news on our favorite trio of presenters as we get it. Previous articleHow Does the 2016 Mazda Miata Compare to the Porsche Boxster? 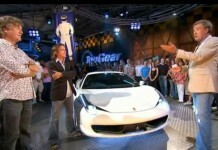 Top Gear UK Returns January 27th!